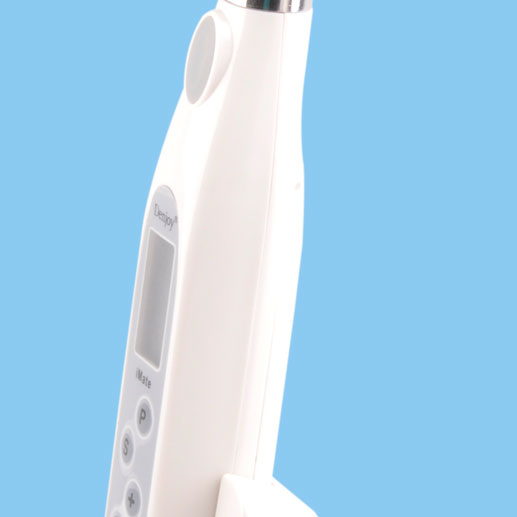 Cordless Endo Motor RCTI-DY(iMate) is an endodontic operation instrument. 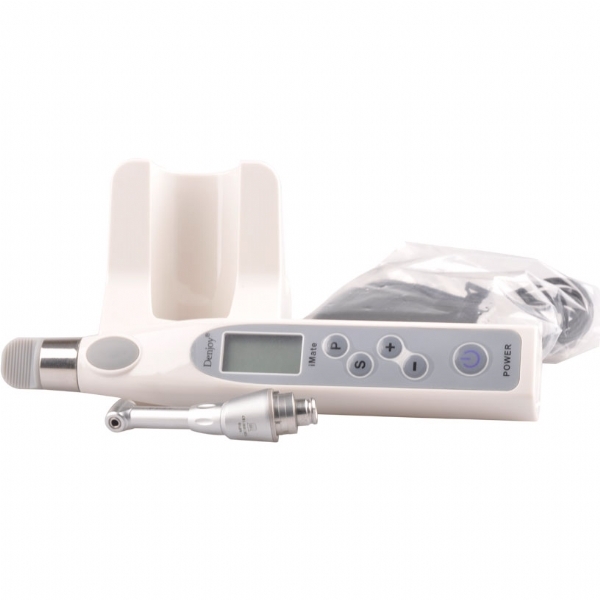 Endo motor function is a kind of endodontic micromotor to drive Ni-Ti instruments, which can assist the dentists to shape more standard root-canal in the process of root-canal treatment based on the micro-electronic control technology. 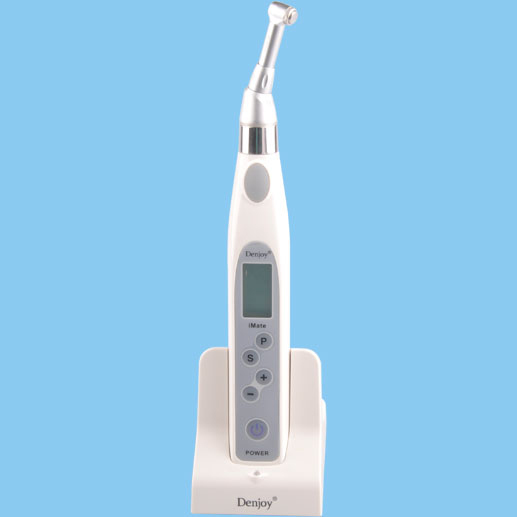 Endo Motor E3 can be held in hand to operate and cordless charging. 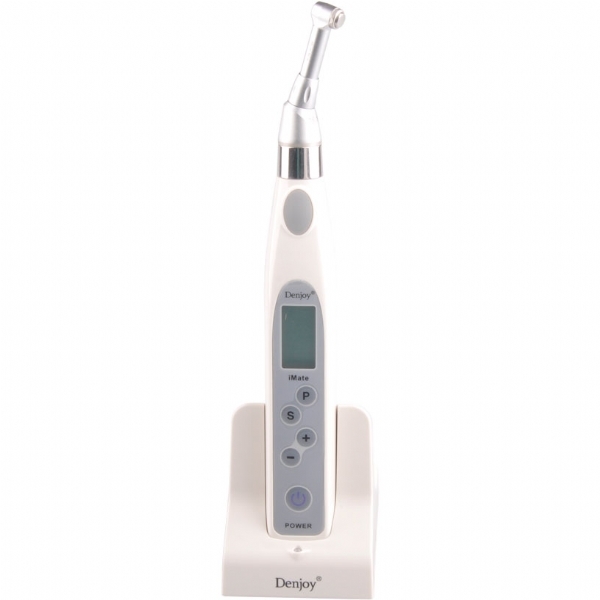 This unit contributes to alleviate the dentist’s working intensity. 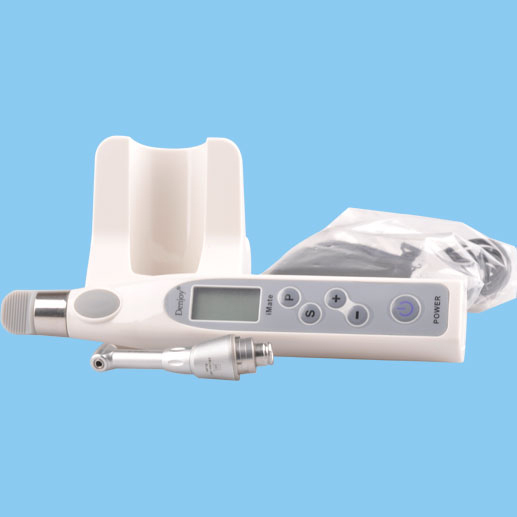 Endo Motor (iMate) is applied to dental especially endodontic treatment. It is used for treat the root canal pulp necrosis, chronic pulpitis, chronic apical periodontiti (including meat tooth apical swelling, periapical abscess, periapical cyst), periodontal pulp syndrome and systemic diseases should not be extract but urgent needed to be treat. Use Endo rotary file to machinery enlarge the root canal,Not only enlarges to the root canal in straight situation, but also works for curved root canal. 1, Compact design complies with standard of human engineering,exquisite and ingenious of surface, easy to take. 2, 6 different program (Can be memorized) which can be preset according the requirement of the operator. 3, Auto-reverse and auto-stop function: When torque exceeds the upper limit, the file will automatically reverse or stop. 4, Contra angle can be 135°C autoclaved dental root apex locater. 5, Build-in Rechargeable battery, greatly resolved the inconvenience of frequently replace the battery and the cost of using our equipment. In order to protect the life-span and working life of the battery. The machine will turn off automatically in 8 minutes without use. 6, If low battery, the machine will alarm to indicate operator. 7, Cordless charging makes the whole process safer. Please contact me for ask the user's manuel and latest price!